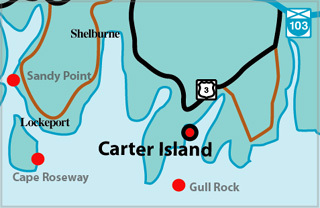 Carter Island is situated about 0.4 mile north of Cranberry Island in the approach to Lockeport Inner Harbour. 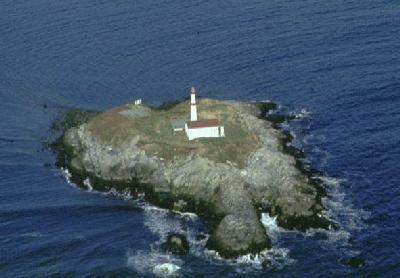 A light is shown at an elevation of 49 feet (15 m) from a white circular tower 30 feet (9.1 m) high, with two red bands, on Carter Island. Light Height: 066ft feet above water level.